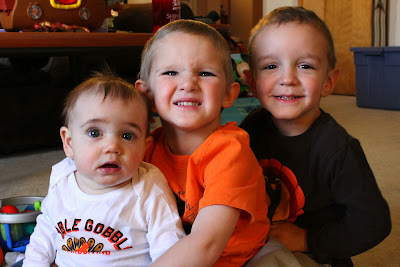 All Four Love: Happy Thanksgiving! This year, I'm most certainly thankful for my beautiful family, amazing friends, my awesome job, and the wonderful community we live in. It has been a busy, busy year, but better to be busy than lonely and bored, I say. From our family to yours, we hope you have a family filled feast of food, fun, faith, and football. Wow, that's a lotta F's.